Well, its that time of the year again, Black Friday. This is a year everyone is scared that sales won't go as usual due to the world economy being screwed up (because American realtors thought it was funny to double house prices every two years) but we otaku are different. Proof that we stray from the norm can be seen by the fact that my anime store's sales have doubled from last year; take that economists! When we want our figures, games and manga, we want them. I have to thank you guys for the support so far in both the threee branches of my store and the site of course. The site is now 250K+ in hits as of a few weeks ago and although I'm not 100% free from my job like I wanted; I only go into there now just on Mondays and Wednesdays w/my time being at my newly upgraded home office (more on that in a future post). For some time you have heard me say that I have loads of anime figures and have many on pre-order but have not seen much in figure posts nor many additions to either the Amazon, eBay or OsCommerce branches. Granted this was due to my job up until last week still holding me hostage and the good old running life throws at you. I simply have to do a big thankyou for all the support. The pictures shown here don't even do justice to the amount of anime figures I currently have in stock. As of this post I have $10,000 of anime figures in stock with about $30K-$40K pending in preorders. 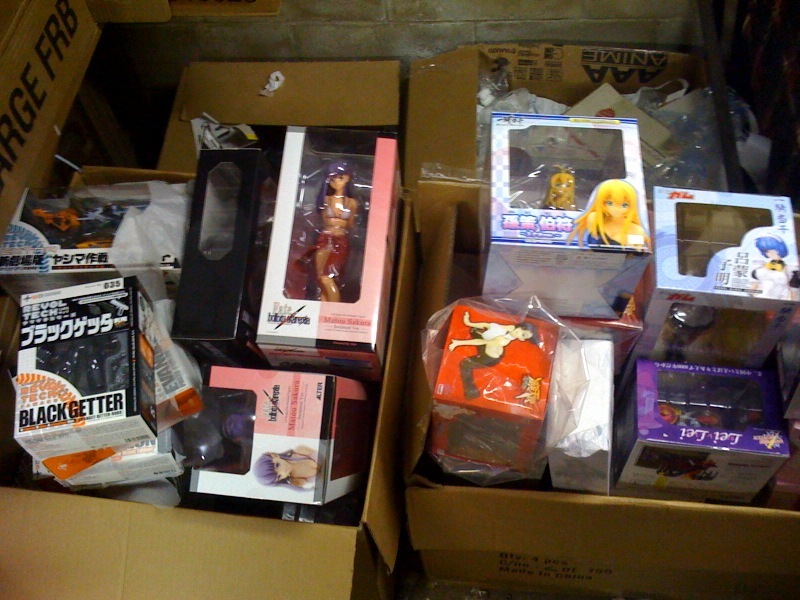 I completely doubt ANY store here on Long Island has as many anime figures as I do. Starting later today and into the entire weekend plus Cyber Monday I will be posting and blogging these wonderful figures I have here and the ones to come. 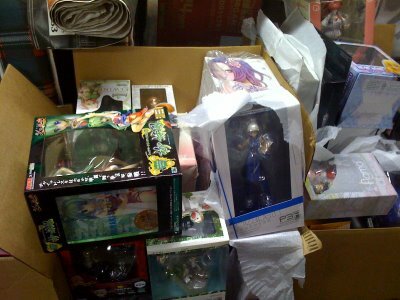 As a thankyou, for this holiday season all anime figures will be free shipping for US customers. For overseas customers, I can't do free shipping but if you shop in the main store, shipping is very low to begin with for you and you automatically get free shipping if your order is over $100. Please note, the shipping will be refunded to you via paypal if you shop here and if you shop my ebay branch, you will already see the discount.